This is first of the series of blogs where we will be covering some of common development tools used for Bluetooth smart applications. In this part, I will be describing the popular Bluetooth LE SDK from Nordic. 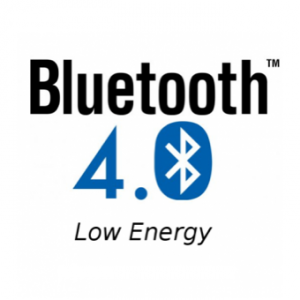 Bluetooth SIG announced the formal adoption of Bluetooth® Core Specification version 4.0 in 2011 which included the hallmark Bluetooth Smart (low energy) Feature. Some of the common devices supporting Bluetooth smart (or BLE) feature in the market are Nordic nRF5 series, TI CC254x/CC264x, Cypress PSoC 4 BLE and CSR’s CSR101x system on chip (SoC). These devices offer support for Bluetooth 4.0 and later versions. Currently, each of these devices supports different set of software development tools and environments. In this article, I will describe some of these tools/IDEs used for programming and flashing one of the BLE devices BLE Nano based on Nordic chipset for windows platform. I used the Nordic’s popular ultra-low power nrf51822 SoC based RedBearLab BLE Nano kit for setting up beacon based application. Currently, there are a few options for developing applications for BLE Nano. Using the Nordic nRF5 v11 SDK along with the arm-gcc compiler: This requires setting up a toolchain on your local development machine (Win7 in my case). Using mbed.org and the mbed Bluetooth Low Energy API: This is the fastest way to get started, but at the time of this post the API documentation for some of the profiles was minimal and I could not get it to work. Using the Arduino SDK along with the nRF51822-Arduino add-on: I tried some examples provided and they worked out of the box. But once again, many more examples/documentation were missing and so I didn’t investigate it any further. I decided to start with nRF5 v11 SDK which was most stable and had no dependency of any third party tool. It integrates the nRF51/nRF52 series 2.4GHz transceiver, a 32 bits ARM® Corte-M0 CPU, Flash memory, analog and digital I/O, supporting both Bluetooth Low Energy, ANT or proprietary 2.4 Ghz protocols. The nRF5 v11 SDK provides a rich development environment for the nRF51/nRF52 Series BLE devices. The SDK includes broad selection of libraries, drivers, examples for peripherals, SoftDevices and profiles. The SDK comes with support for various IDE/Compilers such as Keil μVision™ IDE, GCC make files and IAR support. Before a device can be programmed with a user application, it must be flashed with the correct SoftDevice. These are pre-compiled, pre-linked hex files that contain all low-level APIs over Bluetooth and other capabilities of the chip. They are available with the SDK or directly downloadable from Nordic website. We will be using S130 for our application as they are compatible with nRF51822 (BLE Nano) and support both peripheral and central roles. nRF51 SDK contains source code and libraries for application examples (like GATT profiles), Bluetooth smart and ANT profiles, bootloaders, wired and OTA firmware upgrades. There are several Bluetooth profiles such as proximity and heart rate in form of pre-compiled hex file that can directly be flashed into device. I picked up the ble_app_proximity sample project as my starting point and added application logic required for my beacon application. After the code is successfully compiled using GNU command line tools, a hex file is generated in <>/_build folder. For Debugging, we will need SEGGER J-Link hardware additionally and connect it with BLE Nano. After that, we need to recompile the appropriate target and flash the updated hex file through J-link. The nRF51822 development can also be done using eclipse IDE and GNU ARM Eclipse plug-in. Please refer to Development with GCC and Eclipse and Using eclipse and GNU gcc to program and debug BLE Nano for further instructions. This hex file is flashed into the device using the MK20 board provided with the BLE Nano kit. When MK20 board with BLE Nano on top, is plugged into a usb port, a new drive named MBED appears under my computer. We just need to drag the hex file into that drive and the bootloader will load the new code. Please note that flashing the device may vary from device to device and the same can be referred in the device manual. Tip: In case you want to try different SoftDevices with same user application, there is a command line utility mergehex (for windows platform) that is used to combine SoftDevice and Application hex files. This combined hex can, then, be deployed to have the same effect. If you have a regular nRF5 development kit, you can use the makefie targetsflash_softdevice and flash to flash the application directly to your device. Makefile internally uses an ARM provided tool nrfjprog for flashing. You can refer nRF5 getting started, Tutorials – Nordic Developer Zone, Getting Started – BLE Nano and ANCS example on BLE Nano link to setup the device, development and toolchain, use BLE APIs and run the examples provided. Option to choose from multiple s/w development tool chains. Good documentation and forum support. Sample code for several GATT profiles. As its GNU gcc based, no license required. No limitation on the features of BLE SoC as was the case with other 2 approaches. There are several Mobile Apps from Nordic that can be used to communicate with or control Bluetooth smart devices. Hope you found this blog useful. Write to the author at premb@talentica.com for any queries or suggestions.